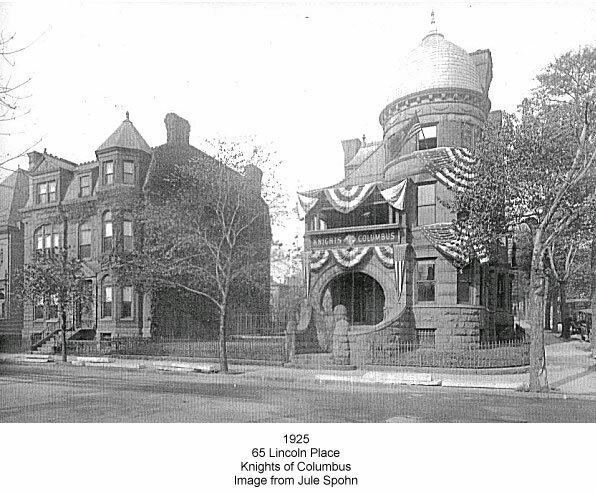 How many remember the Newark Knights Of Columbus and their very beautiful brownstone building at 65 Lincoln Park with it's wrap-around entrance steps, it's veranda, it's balcony overlooking the park, and it's bee-hive like dome? For many years back in the mid forties to mid fifty's I went to summer camp at Camp Columbus on Culver Lake in Morris County which was run by the Knights. We always left on the bus from this old and beautiful building. After the neighborhood went downhill in the 70's and 80's the building was torn down. What a shame that they didn't try to save it. The area around Lincoln Park is doing very well today however. Most of the brownstone are still standing and there is a drug/rehab group called Integrity which owns many of the homes surrounding the park and these people have done, and are doing, a wonderful job of keeping up the houses, keeping the park clean, and planting flower beds all over the downtown area. This is one group that deserves a lot of praise for the work it does with drug addicts and alcoholics.